Chrome plated brass tap to BS5412. 13L/min at 0.1 bar working pressure. Includes back nuts and washers, 1.5m chrome plated brass hose, plastic wall bracket and single mode handset. 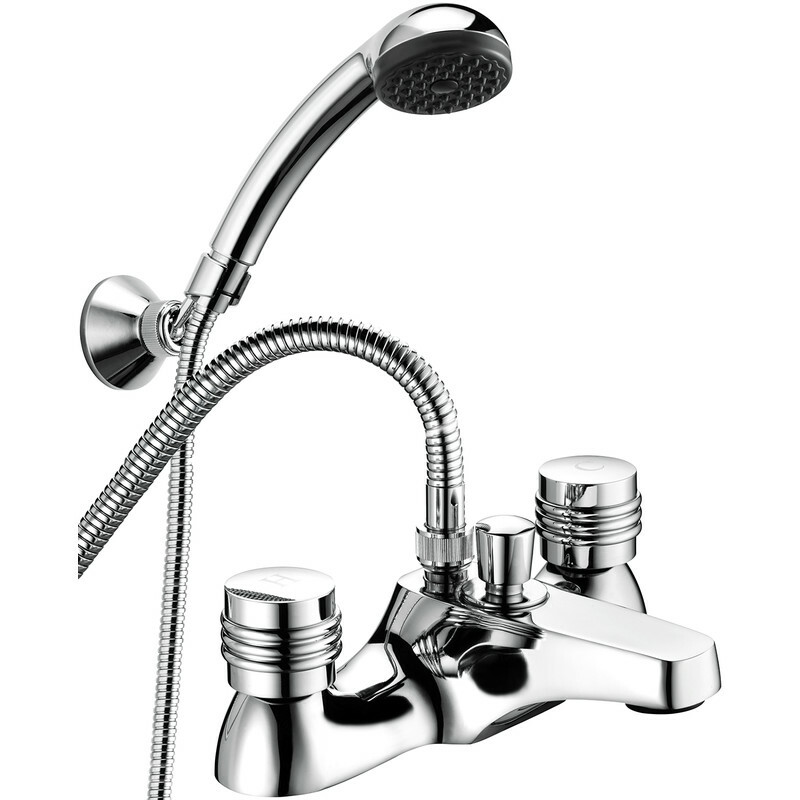 Deva Solerno Bath Shower Mixer Tap is rated 4.8 out of 5 by 4. Rated 5 out of 5 by Dogchops 100 from Good quality item Brought as a like for like replacement, good heavy construction, a long hose and basic head and holder. For the price all good. Rated 4 out of 5 by Anonymous from Good mixer tap Very good mixer tap, only issue was with the shower head bracket. It would not hold or stay in place, had to buy a new one. Otherwise very good.